Many discoveries and inventions immediately come to mind. Probably in a particular order, in the way I think, Polio Vaccine, Insulin, the telephone, the Saturn V Rocket- but to learn that the Nobel Prize in 1973 was bestowed upon an Austrian who discovered the ‘Bee Dance’ . . . I just throw up my arms. 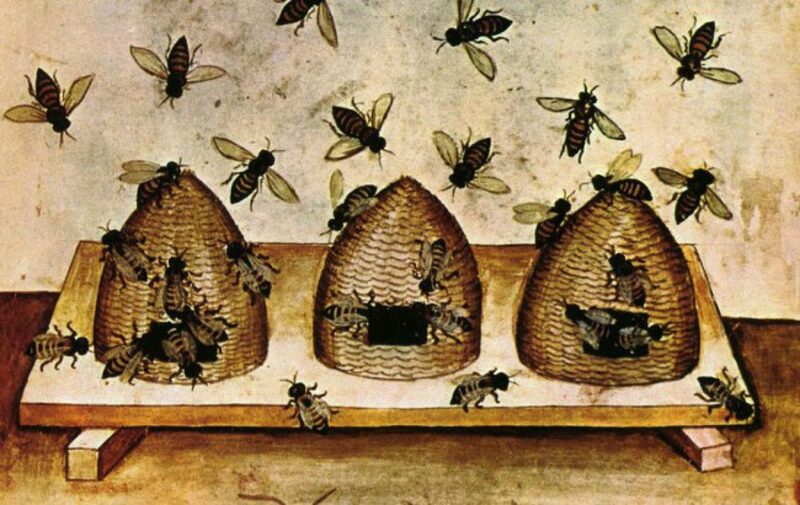 Karl von Frisch, a pioneer of ethology (the study of animal behaviour) was researching how bees communicate. Into the darkness of the narrow vertical space of the honeycomb, the forager bee, executes particular movements, to inform her colleagues (who gather around, and remember its really crowded, about 500 bees per face of honeycomb frame) where she found the source of the nectar and how far away it is. Let’s look at the Saturn V rocket for a second while this sinks in. This is the rocket that brought everyone to the Moon. Meanwhile, back on Earth . . . The Bee spits up a sampling of nectar for others to ascertain the quality. Then, the dance begins. The bee moves in a circle if the nectar is closer than 54 yards (49 meters), hence the ’round dance’. IF, the nectar is further than this, the ‘waggle dance’, a figure eight on-the-flat, describes the x-axis angle of the ‘8’ for the direction in degrees, is performed. OK Karl, what did you do to figure this out please? Trajectory. Rockets. Round things, our Planet. It’s a B-e-e. I remember learning about how bees communicate with each other in college. Really fascinating.